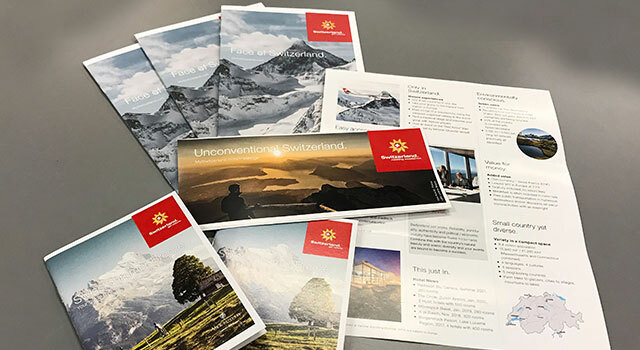 CommDesign works closely with Switzerland Tourism’s North American head office in New York to develop customized sales and promotional material for trade shows and direct marketing campaigns targeting special interest groups and niche markets such as gay & lesbian, religious travellers and sports enthusiasts. 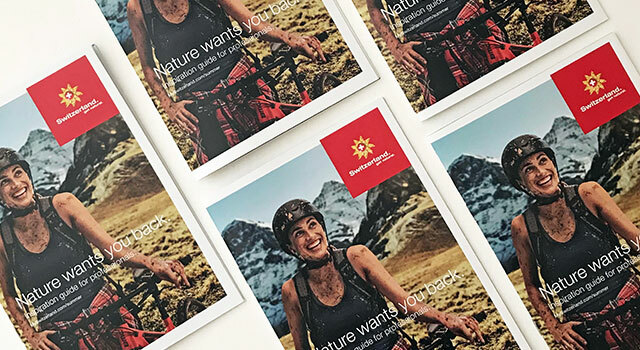 We offer original solutions and premium quality execution while working within international brand guidelines. 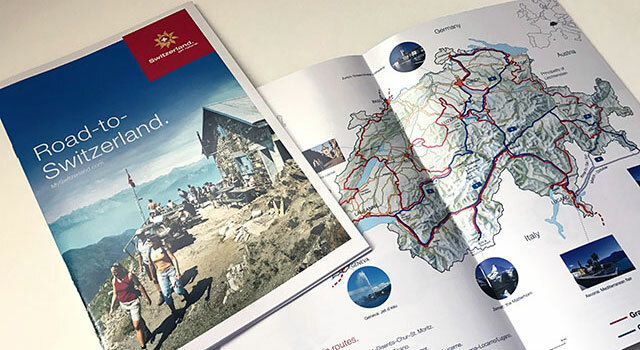 Multi media invitation and promotional material for the launch of the IMAX movie The Alps. The project included the creation, production and distribution of a DVD and self-mailers with different content inviting VIPs, journalists and members of the travel trade to the premiere of this movie in different cities throughout North America. Brochures, direct mailings and promotional material for special interest and niche markets. Step & Repeat display for travel trade events, large print banners for the New York head office.